Unarmed, an hour-long spy thriller drama series, exposes what happens when South Africa finally agrees to hand over its enriched uranium stores, and thirty years of secrets are revealed. When a wedding ends in bloodshed, a former hitman from ANC’s military wing, now a quiet jazz professor in Cape Town, is thrust back into action. Can he solve his friend’s murder, and prevent what is potentially a nuclear bomb from falling into menacing hands? 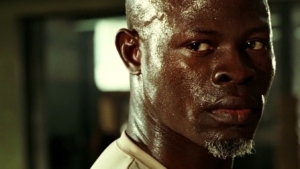 Djimon Hounsou as Mike Ndlovu.